Documents from the Economic and Financial Crimes Commission (EFCC), obtained by The Nation showed that N1.28 billion was spent on acquiring exotic vehicles for him and two others. The others are one of his predecessors, Alhaji Adamu Muazu and Senator Albert Bassey. 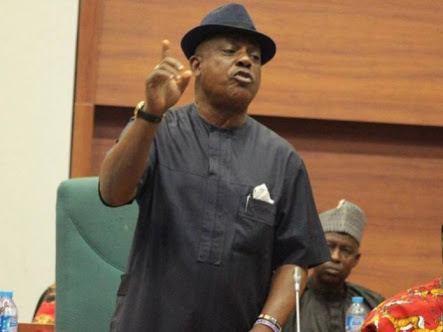 A breakdown showed that Secondus got vehicles or gifts worth N310million-N472.5million; Mua’zu, N504, 500,000 and Bassey, N303m. 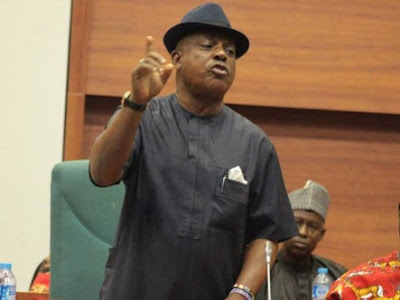 But in a swift reaction last night, Secondus described the allegation as continuation of his media trial. “We are already in court on some of these allegations. If anybody has anything to prove, let him go to court. We know that this is a continuation of blackmail and media trial against the PDP national chairman,” his spokesman Ike Abonyi said. Also, about N250million was traced to Secondus as remittance in two tranches from the Office of the National Security Adviser (ONSA). ONSA said out of the cash, N50million was collected by Uche (Secondus) on November 7, 2014 and one Chukwurah, who was a Special Assistant to Secondus, picked the balance of N200million in cash, on February 9, 2015. The desk officers who handed over the cash to the beneficiaries have made statements to the EFCC. One of them said: “The money (N50million) was paid to Uche Secondus but the purpose was not known. It was based on the directive of a former National Security Adviser, Col. Sambo Dasuki. All the payment vouchers, especially a vital one tagged 0244, have been retrieved by EFCC from ONSA. Mua’zu, who is tagged as being on the run, it was learnt, may be watch-listed on how he came about the N504.5million worth of vehicles. According to the fact-sheet obtained from the anti-graft commission, the vehicles were purchased from Skymit Motors from the proceeds of what was due to the nation from the Strategic Alliance Agreement between Atlantic Energy Drilling Concept Nigeria Limited and the Nigeria Petroleum Development Company (NPDC). Some of the proceeds were initially diverted to Expedia Marines from where payments were made to Skymit Motors. The documents indicated that 50 vehicles were purchased for Secondus between June 28, 2013 and November 2014. The fact-sheet reads in part: “As part of the investigation of Strategic Alliance Agreement between Atlantic Energy and NPDC, the EFCC team discovered that part of the proceeds of crude oil lifting were diverted to Expedia Marines and from the company several payments were made to a company called Skymit, which deals in assorted vehicles. “Secondus was invited on February 23, 2016 in respect of investigation into alleged case of fraud and money laundering. He made a statement and he was granted bail on March 2, 2016. In his statement to EFCC, Secondus wrote: “All these gifts came to me from the Chairman of Atlantic Energy, Chief Jide Omokore over the years. On Mua’zu, a former governor of Bauchi State, the EFCC said the vehicles allegedly bought for him included: Mercedez G-63@N45million(19/5/14); Many vehicles @N247,500,000 (26/6/14) and another set of vehicles @ N212million on 14/814. “The suspect is still on the run, the EFCC has not been able to interact with him,” the document said. On Bassey, who was a Commissioner for Finance in Akwa Ibom State, the EFCC uncovered how the following vehicles were made available to him by Atlantic Energy which allegedly paid for them from oil cash.